Via Jeremy and his wife Maureen, we shared Jeremy Bulloch's retirement announcement this morning. Fans have been sharing their stories and photos of him on our Facebook and Twitter posts. He's still doing autographs by mail for the time being. Any thoughts, memories, or photos you'd like to share here, Fett fans? I have met Jeremy and his wife a couple of times and I can say, they are wonderful people. So kind and genuine. I am disabled and in a wheel chair, Jeremy crouched down beside me for a photograph. It must have hurt him (I did say not too but he insisted) thats the kind of man he is. Have a great retirement Boba. I will treasure my autographs and photographs. Fantastic story, Ady! Thanks for sharing and welcome to BFFC! 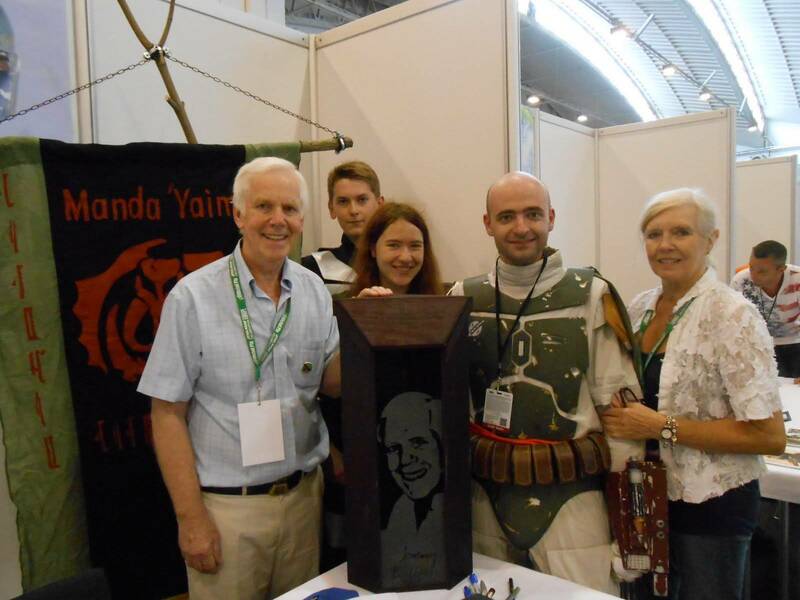 And there's me, my cheeky smile, my friends and Jeremy Bulloch! Incredible indeed! Great compliment, photo, and story, Mahiyana!! If you want, when logged into BFFC, you can find that convention at https://bobafett.com/followfett/event/ and mark that you attended. We'll likely add an "add a photo" functionality soon, but a fun checklist for fans.